Caroline works closely with dispute resolution colleagues advising clients who find themselves the subject of a global investigation by the regulators, or who need to run their own investigation following the misconduct of an employee. Her skill lies in advising how best to deal with employees and the regulators and manage the investigation, irrespective of the number of jurisdictions involved. 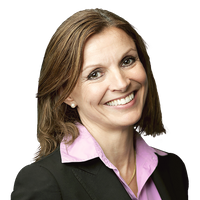 Caroline helps PLCs, financial institutions and professional services firms hire and fire senior executives, make board appointments, re-organise themselves, buy new businesses, and open and close operations across the world. Her litigation experience means that Caroline understands why and how things go wrong. She is ideally suited to help clients put in place the policies, contracts, and terms that enable them to attract the best, avoid disputes and protect talent. For three years, Caroline was responsible for our global HR strategy. This view of life from the client side is a great comfort to clients, especially professional services firms. Caroline understands the realities of implementing a global strategy: the processes that work and the documentation needed to support a global HR initiative.